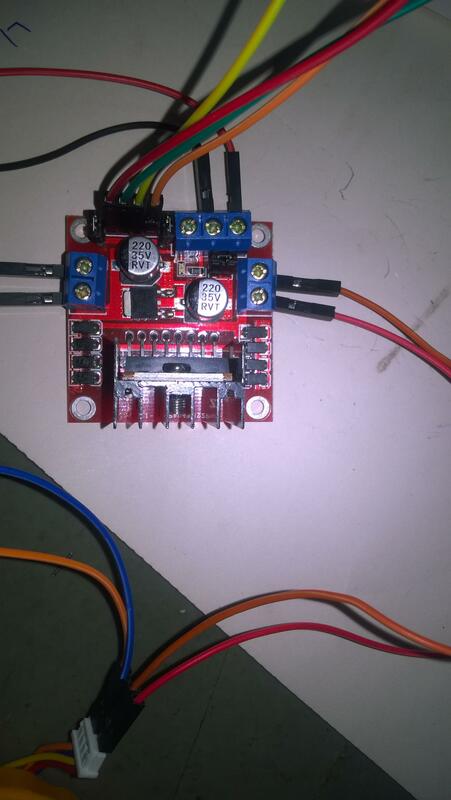 Problem- Nothing in stepper motor is showing response, no movement nothing. Checked- when i give voltage to either coil of stepper motor it shows a little deflection implies stepper is working correctly. The most basic thing is not working like when i put 5V in IN1/2/3/4 i get 0.1V in all the outputs. Also, I have connected +12 to driver and GND of battery to driver no +5 or GND from rpi is this ok ?? If the battery is charged, those 12V will be ok. And yes, its better if you power the H-bridge from an external source rather than from the Raspberry Pi. "The most basic thing is not working like when i put 5V in IN1/2/3/4 i get 0.1V in all the outputs." Now, if you are not getting any changes on h-bridge's OUT pins like you explained above, then I guess the problem is either on the hardware (verify all the connections and if everything looks ok then you may need another h-bridge), or in your code, so please share it to be able to give you more specific guidance. Not the answer you're looking for? Browse other questions tagged pi-2 dc-motor or ask your own question. Why is my right stepper motor stuttering? Which driver for controlling bipolar stepper motor with a raspberry pi?